Shortness of breath is not a normal part of aging. Idiopathic Pulmonary Fibrosis (IPF) is a progressive disease of the lungs that is misdiagnosed about 50% of the time. If you have unexplained symptoms, like shortness of breath or a nagging, dry cough, you should ask your doctor if you should be checked for IPF. 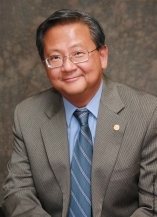 Dr. Charles Chan, a leading specialist in IPF, explains why.